Not long ago I received this communication from someone who I have never met. Hi, I am from Ohio. 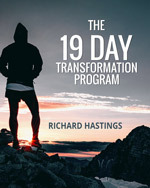 Something very strange happened to me…….I had various dreams last night and in one dream there was a guy named Richard Hastings(that’s me). Richard Hastings had told my husband the world was ending soon (“didn’t you see the two clouds of smoke? The world will be ending soon” )…I asked my husband (in the dream) who is this Richard Hastings and he pointed you out in a restaurant I remembered the face & name. This morning I told my husband, sister & house cleaner about this dream and the name thinking I probably saw the name & face on TV……my house cleaner said to google the name…….When I got to work I googled Richard Hastings….Thinking I would pull up a political anaylse because I watched the Iowa Cacusus last night before going to sleep. But low and behold I pulled up your bio and it was your face in my dream and your name. I was shocked to say the least. Have you ever been on TV??? How could your face & name be in a dream I had unless I saw you somewhere before………Is that possible??? I know this sounds really odd…. There was a factory explosion yesterday at ethanol plant in our town…….that still does not explain your face & your name in my dream. And I also watched the discovery channel during lunch yesterday about clouds left behind by jets. So if you could clear up why your face and your name was so vivid in my dream……..that would be great. I was pretty excited about receiving this dream because I’m a big unknown personality in the world of TV and politics, but in the dream world I seem to be quite well known. She expected that Richard Hastings was very renown, but she saw me in the dream and thanks to the technology, she could validate that the person in the dream was actually me. Her question is about how is it possible? This is a relatively easy question to answer when you believe that the dream world is a spiritual phenomenon whose purpose is to awaken and release the positive potentialities that lay hidden in every human being. When you need a certain positive quality like being closer to the people in your life, the dream world sends you constant messages that give you vital understandings to develop the quality. If you heed the message in the dream, and then change your life accordingly, everything always gets better. If you can also believe that the spiritual force that controls the dreams is compassionate and all-knowing, then you can understand that dreams are perfectly suited to you and your situation in life. When you try to explain the dream that this woman had in materialistic terms such as thinking that she would have already had to see me in the real world, then the dream world becomes rather meaningless. People who have become engulfed by believing only in material reality, because they can not understand an anomaly like this particular dream, tend to disregard dreams altogether. By believing that the dream world wants your very best and will always send you the messages that you need, you can make a great deal of accelerated growth. How is it possible that she could have seen me in the dream world when she had never seen me in real life? It is very simple to answer when you understand that dreams are outside of the laws that govern time and space in the material world. You can go forward or backwards in time in a dream, and you can also travel without ever leaving your bed. If the dream world wants her to see me, it is fully capable of it because its powers and abilities are far beyond what any of us are capable of communicating or understanding. Last night I was flying in my dream and it felt so real that I was sure that I could do it, but when I awoke I am faced again with gravity. In the dream she sees me in a restaurant and I tell her that the end of the world is coming. What she doesn’t understand when she awakens is that the end of the world in a dream does not mean the end of the entire human race, but I am telling her that the end of the world as she knows it is going to end. This means that a brand new world is ready to open up for her if she heeds the message in the dream. The spiritual force that is in cooperation with her spirit simply uses me as a way for her to realize that there is a greater force that is capable of things that she has heretofore, not allowed herself to believe. When she can begin to contemplate the power behind the dream world, then her life as she knows it will be over. She will then, also be able to nourish herself in a new way that will benefit herself and others. I am simply in the dream so that she understands that the power of the dream world is far beyond what she would have ever imagined and that you can not explain it by material means alone. Many people have stopped relying on spiritual forces in favor of the material because of the way orthodox religious structures have so tried to control people’s minds by putting themselves in place of the spiritual world. They act as if they are the all-knowing ones and, in so doing, have turned millions of people toward materialistic beliefs. What is important to understand is the spiritual forces governing dreams are truly beneficent, wanting only the best for you. This is the key. I really like how you explained this – in a way that any of us can understand (and accept, if we choose to). 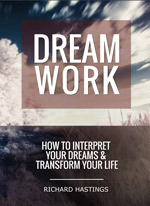 My own personal experience with dreams puts me in agreement with you.